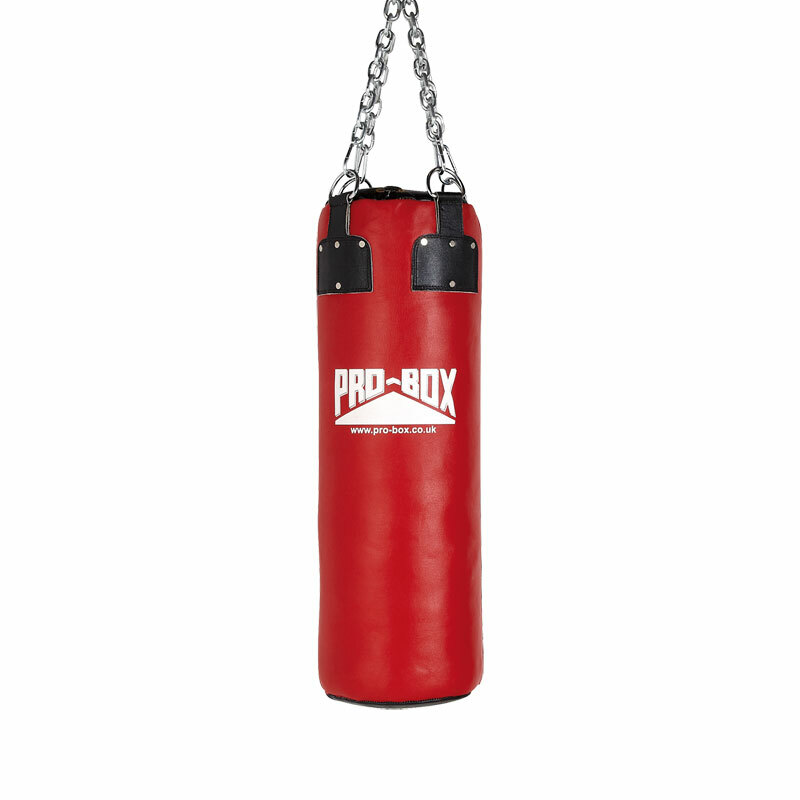 The Pro-Box Leather Punch Bag is a heavy duty 13" diameter leather punch bag constructed from glossed leather hides. Heavy duty filled punch bags made from glossed leather hides. Chains to be ordered separately.